This mod contains helper methods that I use for most of my mods, It also adds a new potion system, called "Buffs", Buffs act exactly like potions, but are stored using Strings, this allows for more effects than vanilla potions allow. 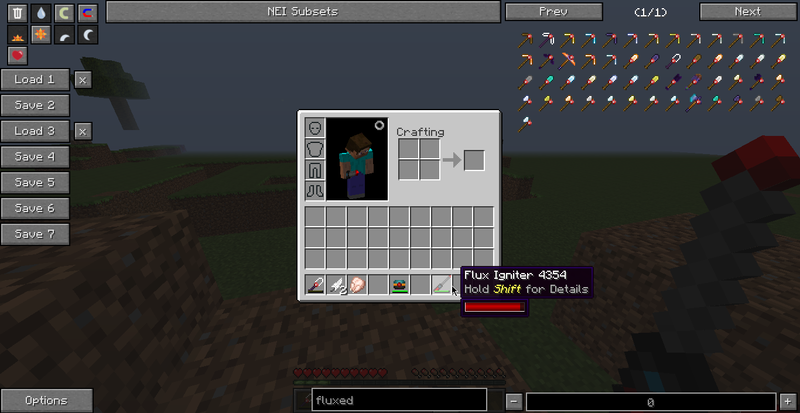 Another feature this mods adds is, "The Flux Bar", it adds a bar to Item tooltips and the ingame screen showing how much RF is stored in the current equipped item, There is a config for removing this feature. 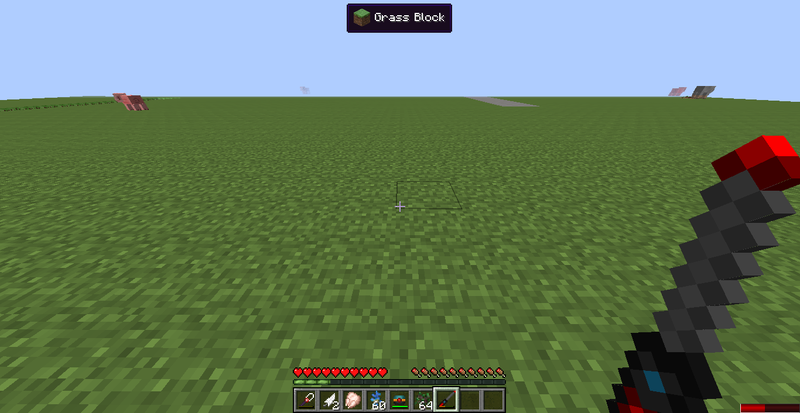 If you ask me if you can use my mod in a modpack, you will be denied, however, if you don't then go ahead. Is this a clientside only mod, or does it work on servers too? Why is this required for ContentTweaker? That doesn't need the Flux bar or the Buffs system, does it? any chance of adding fluxed armor? Does this mean fluxed crystals is coming to 1.8.9? Will you update it to 1.8.9 soon? Hey man do you have a jenkins build server with up to date builds ,and dev builds ? I do not, I don't like people using my dev builds, because it usually ends with me being shouted at for things not working, for example, Parcel used a dev build in his modpack, everyone was raging that it was broken. 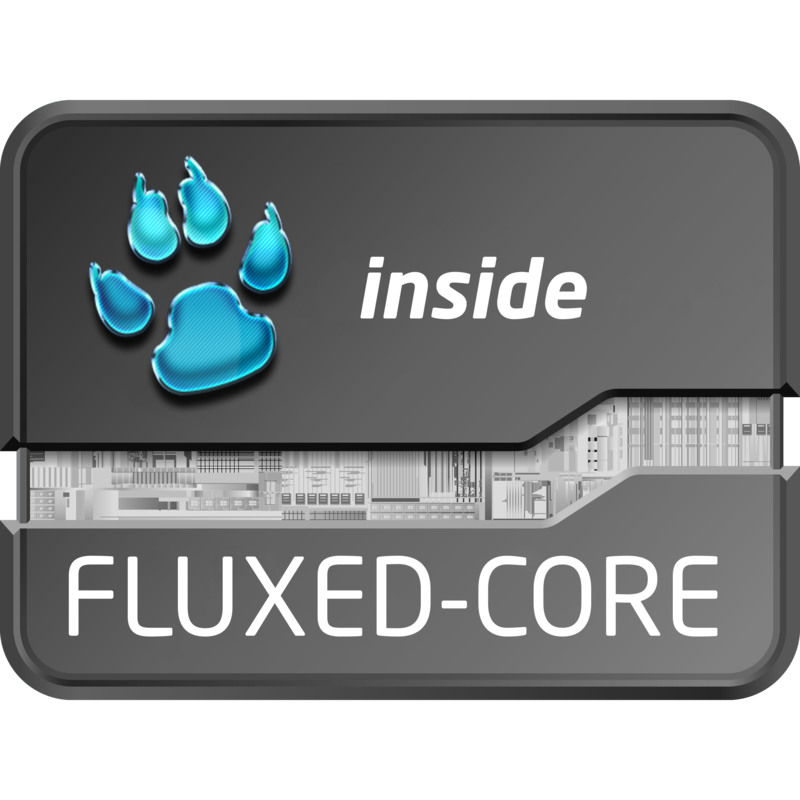 The Flux Bar obscures the Waila feature that shows you the name of the mod. Please fix it. Either configurable like what you can do with the Waila HUD with Numpad 0 or in the configs. I did fix it, you must be using an outdated version. I'm using 1.0.3. And in the Files section, it's the most recent one. Hmm very weird, maybe I havn't released a new version with it :/ I'll upload it tomorrow then, sorry. Can you stop fluxed core from making rainbows in my console?